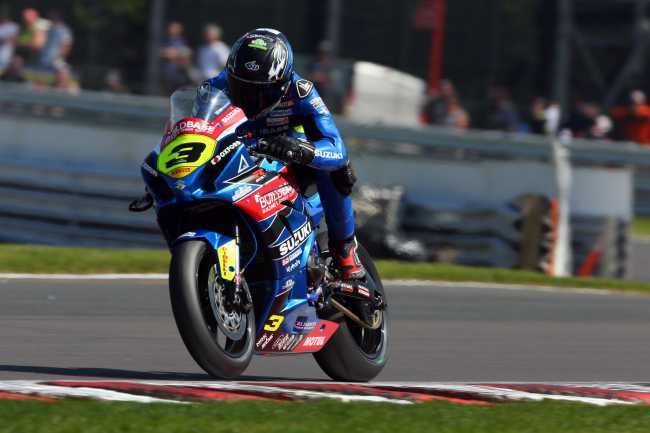 Buildbase Suzuki will get its Bennetts British Superbike Championship title assault underway this weekend, as Oulton Park hosts the first round of The Showdown. Ray, who secured his spot in the series’ top-six at Silverstone, is looking to convert the raw speed he’s shown all season into more wins and podiums at the Cheshire circuit. After a crash at Silverstone following another rider’s overtake, Richard Cooper, riding the second Buildbase Suzuki GSX-R1000 superbike, will look for two clean races and exploit the true pace he knows he can display. With two top-ten finishes at Oulton Park in round three of the championship earlier this year, he will look to hit the ground running and qualify well in an attempt to mix with the Showdown top six.